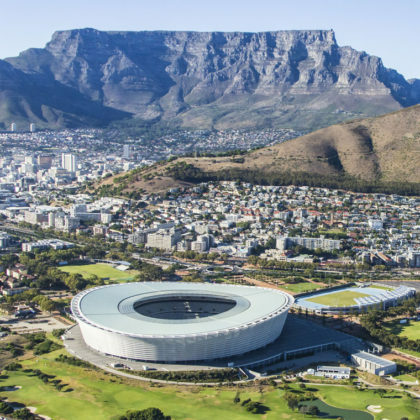 Upon your arrival in Cape Town you will be met by one of our representatives and given information for your trip as well as help you with collecting your rental car. The rest of the day is yours to spend at leisure to explore the inner city and the V&A Waterfront. You might also like to visit the Aquarium or Kirstenbosch Botanical Gardens to gain insight into the incredible diversity of the Cape Floral kingdom. 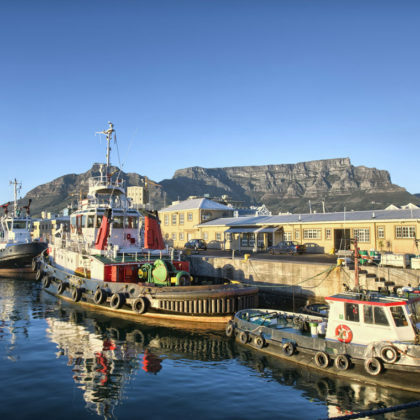 This morning you will get to see the highlights of Cape Town on a guided tour of Cape Town. Start out with a trip in the Cable Car up Table Mountain and take in the spectacular view over the city. Visit the Castle of Good Hope and District Six and learn about the divisive history of Apartheid. 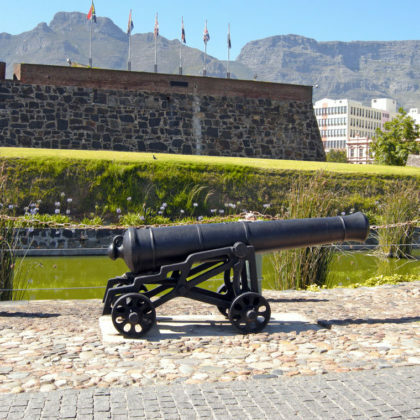 Explore the cobbled streets of the colourful Cape Malay Bo-Kaap and have coffee in the Company Gardens before heading to the top of Signal Hill to witness the firing of the Noon Gun – one of Cape Town’s oldest traditions. The afternoon is yours to spend at your leisure. 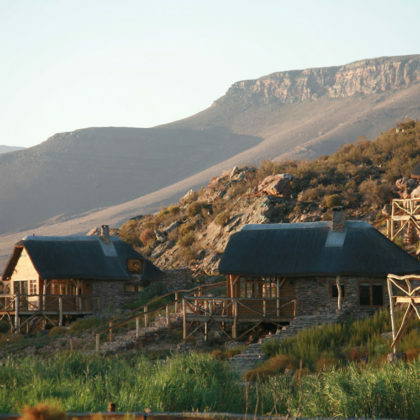 Today, you will travel to the Aquila Game Reserve, one of the closest Big Five game reserves to Cape Town where you will spend the next two days. 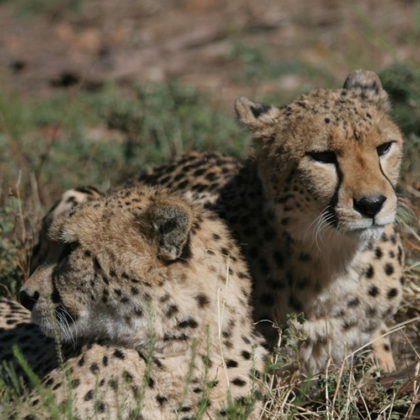 Upon your arrival you can settle in before setting out on an afternoon guided game drive in search of lion, leopard, rhino, buffalo and elephant. The knowledgeable rangers will be able to tell you more about the behaviour of the animals encountered. Upon your return to the lodge you will enjoy a sumptuous South African inspired meal served either in the restaurant or out in the boma under the stars. Today, you will travel through the beautiful Ceres valley which is known for its production of stone fruit to the town of Tulbagh. Church Street in Tulbagh contains the largest number of Cape-Dutch, Edwardian and Victorian provincial heritage sites in one street in South Africa as most of the town was destroyed by an earthquake in 1969. 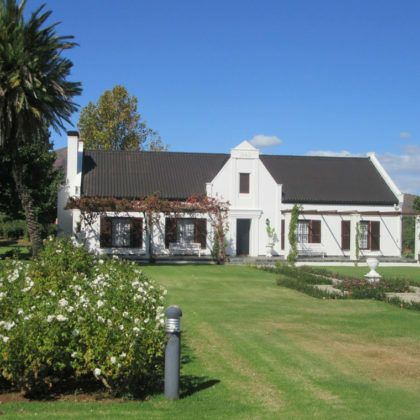 Then travel on to the town of Riebeek Kasteel which was the birthplace of two of South Africa’s former Prime ministers – Jan Smuts and Daniel Malan. Leaving the town of Riebeek Kasteel behind you will travel to Paternoster via the town of Darling which is an excellent place to stop for lunch. You might want to stop and catch a show of Evita se Peron by Pieter Dirk Uys. The town is the centre of the local farming community but it is the extravagant display of spring flowers from various bulbs which is the town’s main attraction. 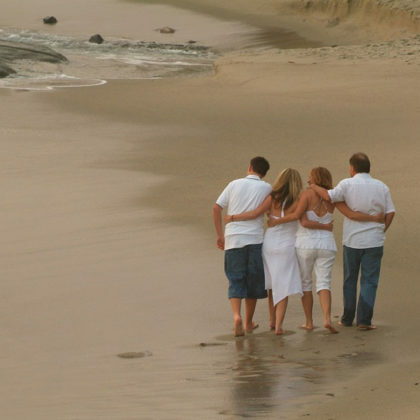 Paternoster is one of the most popular destinations on the West Coast. This small fishing village is known for its beautiful surroundings, wildflowers and crayfish as well as its scenic whitewashed fishermen’s cottages which retain the magic of yester year. With an abundance of fantastic local seafood, it’s no wonder that Paternoster boasts some of the best local seafood restaurants in the country such as the Noisy Oyster or Gaaitjie Salt Water Restaurant which offer wonderful dining experiences. 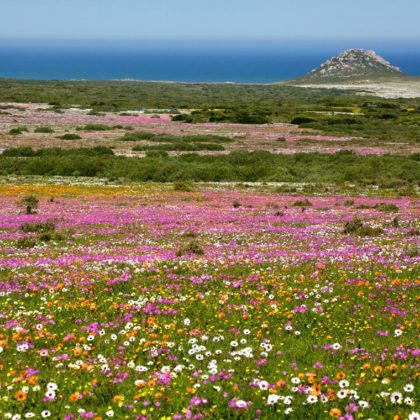 The Saldanha Nature Reserve offers a display of wildflowers during late winter and spring July to September) while Southern Right Whales also visit the waters in and around the nature reserve. You will enjoy a beach buggy ride along the dunes from Paternoster to St Helena Bay. The guide will tell you stories about the early Portuguese explorers and their adventures along this coastline. You may be lucky and see dolphins frolicking in the bay. 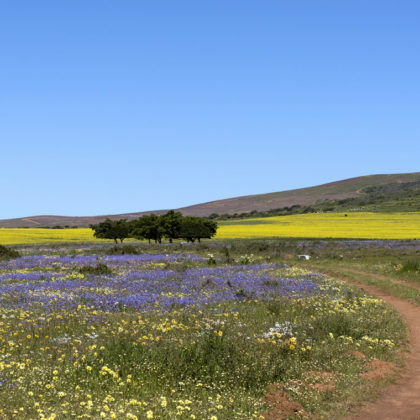 Leaving Paternoster behind, today you will travel along the west coast back to Cape Town passing through Langebaan and the West Coast National Park which have fields carpeted in wildflowers in spring and offer some of the most beautiful scenery in South Africa. Once you have arrived in Cape Town and settled into your hotel we suggest that you explore the city centre. Perhaps indulge in some retail therapy at the V&A Waterfront or explore the many interesting shops to be found in Bree and Long Streets. This day is yours to spend at leisure; we suggest that you speak to your consultant about adding a guided Cape Peninsula tour to your trip on this day. More details can be found under the information tab. 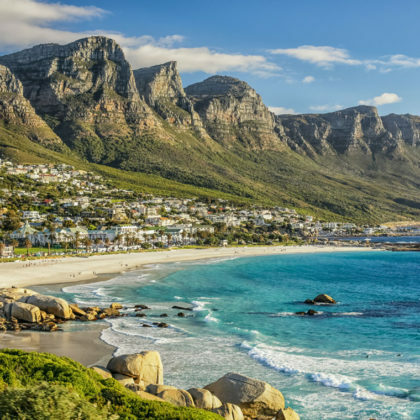 Today you can spend enjoying Cape Town, perhaps relaxing on the sandy white beaches of Clifton or Camps Bay. Alternatly, you could speak to your consultant about doing a tour to the picturesque Cape Winelands, famed for the production of fine wines on this day. This is the last morning of your West Coast holiday package and you will depart for your next destination or catch your flight home.